2005 " Pages: 350 " Size: 140 × 220 mm " ISBN 81-85264-35-X "
political, ethical, educational, legal, social reproductive etc) serving a resident population. In the tradition of anthropological science, the study was undertaken within total social and cultural context. Although research work was carried in few villages, but it did not confined only to those. Village was chosen as unit of study because it is the most manageable functional unit in which a pattern of tribal culture and structure of tribal society could be studied. 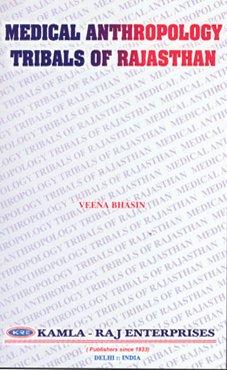 The main purpose of the study was to obtain an integrated picture of the tribal’s health and sickness, nutritional status, socio-economic conditions, settlement pattern and environ-mental conditions against the background of existing medical and sanitary facilities available, so as to discover the main health provision and necessary measures for bringing about improvement in the health care system.